H.G. Bishop Karas, formerly Fr. 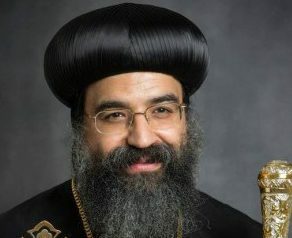 Karas El Anba Bishoy, as general bishop to serve Cairo. He joined the monastery in 1994 and was ordained a monk in 1993. He was ordained a bishop on June 1, 2014 st the hand of H.H. Pope Tawadros II and enthroned to the newly formed Diocese of Pennsylvania, Delware, Maryland, and West Virgina.